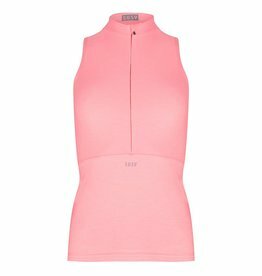 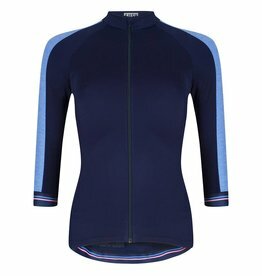 Susy cyclewear launches the prettiest ladies cycle top with 3/4 sleeves. 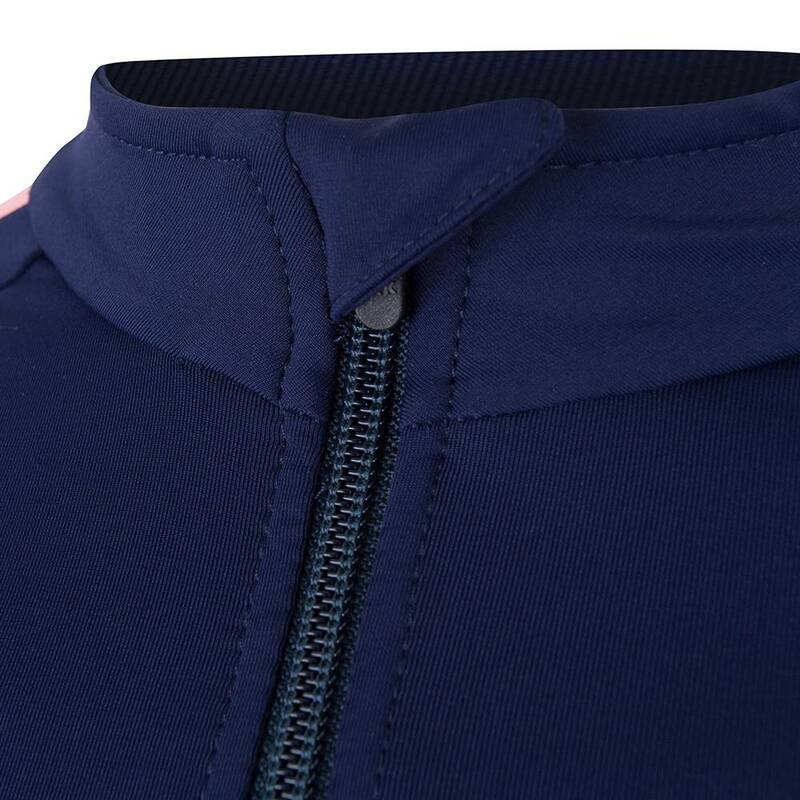 Not only the fabric material is really stretchable, we also included a special stretchable zipper which is extremely comfortable. 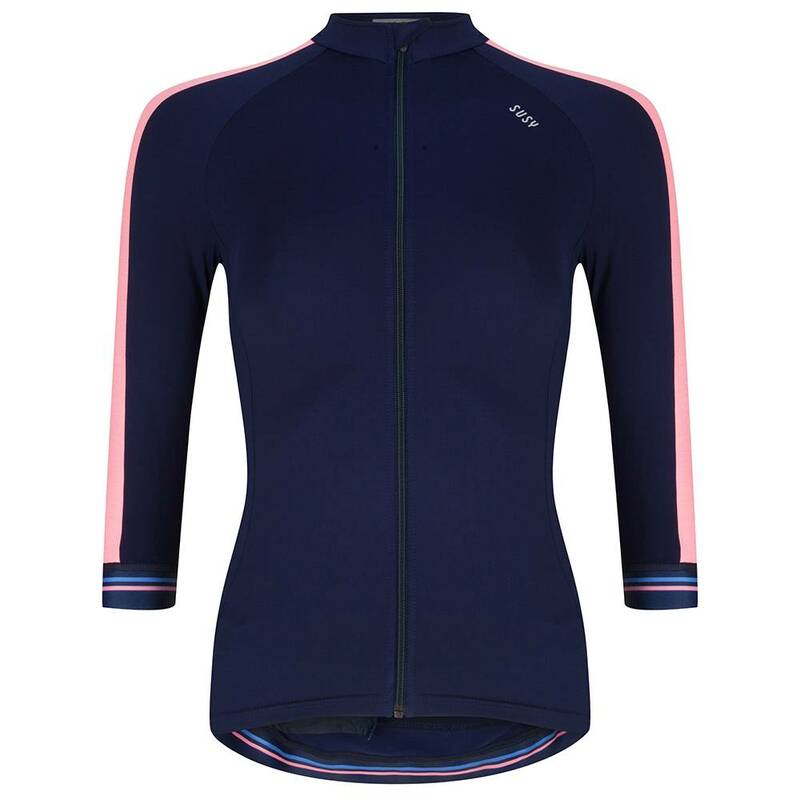 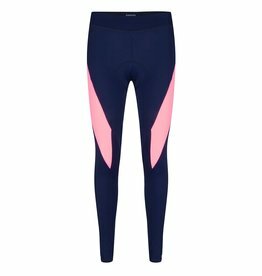 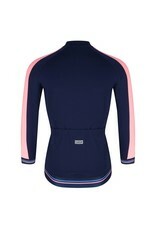 The ladies blue navy cycle top has a contrasting melange fabric in bright pink along the raglan 3/4 sleeves. 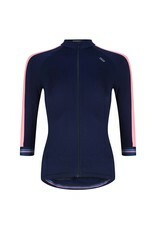 Sleeves and back hem are finished with sporty striped Mab silicone banding to keep your jersey in place while you move. 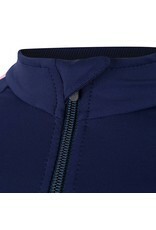 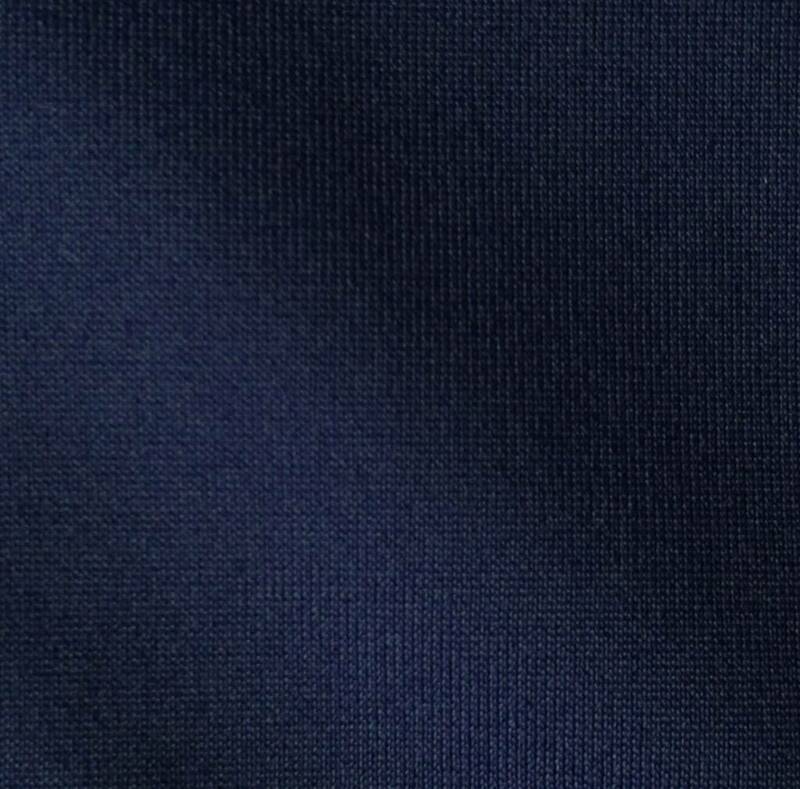 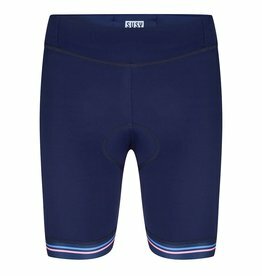 This neat detailed banding is a detail which can be found throughout the full Susy cyclewear collection. 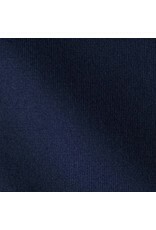 The center back length is a bit longer, approximately 62/63 cm. 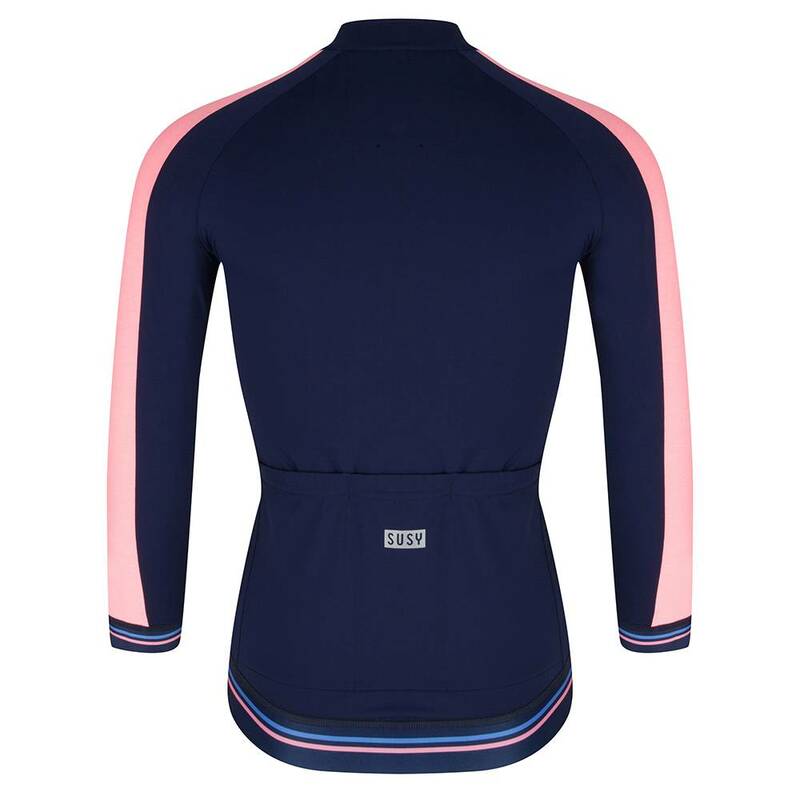 The navy/ bright pink cycle top includes three standard back pockets, a hidden phone pocket with ykk zipper, and our classic Susy reflective logo.